Excellence is our specialty. We’re an Audio Video installation company that excels in customer satisfaction. We leverage our expertise, gained through over 15 years of audio video experience in a wide range of industries, to offer the best option for your project at a price within your budget. From residential to commercial work, our professionally trained staff will handle all aspects of design, installation and training. Whether you’re looking to install a Smart Home System, 4K Projector, Surround Sound, Restaurant/Bar AV, Security Cameras, Prewire or Basic TV, Technology Professionals is here to help. Technology Professionals are fully licensed and insured which will give you peace of mind while your installation is being completed. We ensure proper attention to every detail because we pride ourselves on delivering top quality service every time. We focus on our client needs and guarantee 100% customer satisfaction. Installation comes with a guaranteed 1 year warranty. Regardless of your budget, Technology Professionals will build a system that meets your needs and exceeds your expectations. 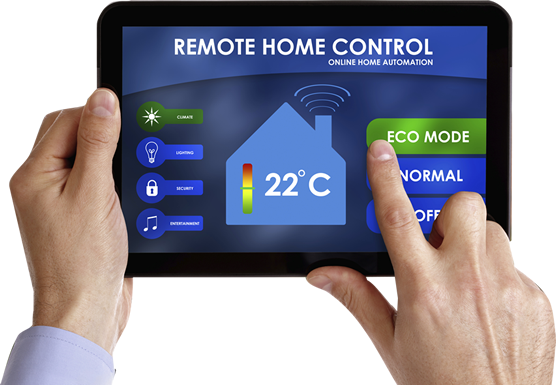 Recent advances in home control systems provide a huge increase in convenience, security and significant savings to home owners. We offer unique customization and integration of all of your electronic components by showcasing creative design, complex integration, and flawless control of your home or business! Contact us today for a free estimate for your project. A member of our professional staff will come to your home or business, walk through the aspects of your project with you, and give you your best options to complete it. All of our projects come with a no-hassle, no-pressure guarantee. Experience the peace of mind that comes from putting your project in the right hands.